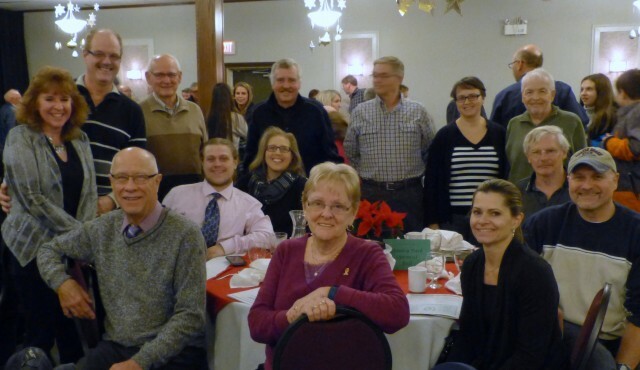 Photo: The Stanley Park Optimist Ball group at the KSA Volunteer dinner. (Nov. 27, 2018) While we were there to recognize the contributions of Ken Wettlaufer (absent from photo) to our Ball Program, KSA took the opportunity to recognize our very own Rick Waud (standing at back, 3rd from left) for his leadership with the KSA 50/50 draws. The KSA Volunteer Recognition Program gives local minor sports groups the opportunity to have one of their key volunteers publicly recognized each year. 2018 was the 30th award ceremony! (Our Stanley Park Optimist Ball Program is one of The City of Kitchener's Affiliated Sports Groups.) For more on the awards to our ball group's volunteers, please visit our Ball website.